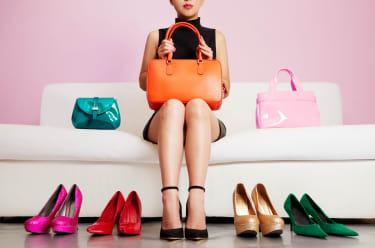 US women’s footwear and handbags outfit Nine West has become the latest victim of the retail apocalypse. Nine West Holdings and 10 affiliates filed for Chapter 11 in the US Bankruptcy Court for the Southern District of New York on 6 April, with counsel from Kirkland & Ellis and Californian law firm Munger, Tolles & Olson. The company is seeking bankruptcy protection to begin selling its struggling Nine West and Bandolino shoe and bag brands. Aeropostale and Juicy Couture owner Authentic Brands Group (ABG) has agreed to buy the intellectual property associated with the failing businesses for approximately US$200 million. Nine West now plans to focus instead on more profitable parts of the business, such as women’s and men’s denim distributer One Jeanswear Group. Although the company is primarily US-based, its products are distributed globally in over 65 countries, including standalone outlets in London. Around 80% of its sales come from wholesale distribution and sales to department stores, off-price retailers, and mass merchants. Interim CEO Ralph Schipani, a managing director in Alvarez & Marsal’s restructuring practice in New York, said in a declaration accompanying the filing that the company’s footwear and handbag business had been adversely impacted by “the unprecedented systemic economic headwinds affecting many brick-and-mortar retailers”, including some of Nine West’s largest customers. Nine West was also affected by issues specific to the company – such as “product quality problems, lack of fashion-forward products, and design missteps,” Schipani says. He says that the company’s other businesses – One Jeanswear Group, Kasper Group, The Jewelry Group and Anne Klein – have demonstrated stability, but insufficient growth to support the failing shoe and bag businesses. The company has arranged for two debtor-in-possession (DIP) financing agreements which, together, will provide it with US$300 million. The facilities consist of an asset-based lending facility as well as incremental liquidity of US$50 million by way of a dual-draw term loan facility provided by some of its lenders. “Without these facilities, I believe that substantial value degradation would occur as a result of the Debtors’ inability to continue ordinary course operations,” Schipani says. Schipani reports that the restructuring is supported by over 78% of the company’s secured term loan lenders and over 89% of unsecured term loan lenders. In the Chapter 11 petition Nine West Holdings, which is owned by Sycamore Partners, a New York private equity fund, estimated that it had US$500m-$1bn in assets and liabilities of US$1bn-$10bn. The cases are being jointly administered. On 9 April, Judge Shelley Chapman signed an interim order authorising the debtors to obtain postpetition financing. A hearing to consider final approval of the DIP facilities has been scheduled for 30 April. In Re Nine West Holdings, Inc, et al.